Yesterday, Tapbots‘ Paul Haddad shared on Twitter that there were already more Tweetbot users on iOS 7 than still on iOS 5. We confirmed the tweet’s contents with Haddad, then went on to poll a few more developers who corroborated the findings both on and off the record. The statistics here are pretty powerful, and demonstrate the shifting landscape of rapid updates on iOS and exhibit how far ahead Apple still is when compared to Android in this area. Pioneering Twitter app Twitterrific, by The Iconfactory, is also seeing big usage numbers on iOS 7. 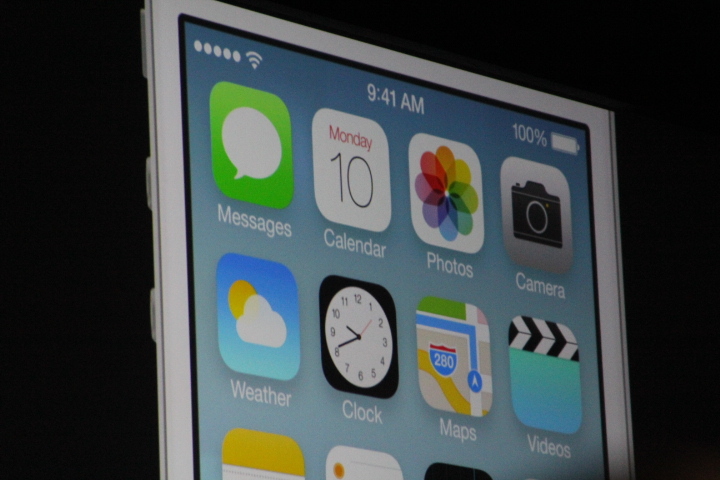 The company confirmed that they’re seeing roughly 3x as many users on iOS 7 as there are still using 5.x versions. The time shifting app Pocket is also seeing big adoption numbers, with 4.8% of weekly iPhone actives last week on iOS 7, 3.9% on iOS 5. All of these stats are even more impressive when you think about the fact that iOS 7 is theoretically still limited to ‘developers and test devices only’. Obviously there are tons of caveats here, including the fact that despite us reaching out to a spectrum of developers, they could very well represent a cross-section of the early adopter crowd. Twitterrific, for instance, was widely praised (rightfully I believe) for being almost prescient about the look and feel of iOS 7. This means that it ‘fits in’ very well and iOS 7 users might be more inclined to install it than another Twitter client. But given that Tweetbot was seeing similar adoption rates, the issue might be more along the lines of popularity among the ‘early adopter’ crowd. We spoke to a developer of a hugely popular game whose market is solidly in the ‘median’ (non-techy) user crowd and their results spoke differently about the adoption of iOS 7. While there was still a significant amount of iOS 7 users, they were still around 1/3 of the numbers being seen for iOS 5 versions. So definitely not there yet among ‘normal’ folk. Still, for the numbers to be anything but a blip on the radar speaks very highly of Apple’s ability to move users from old versions of iOS to new versions. 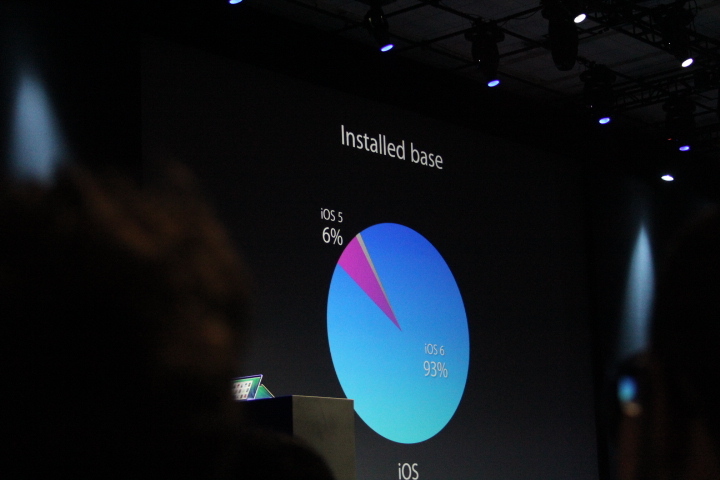 Right now the ‘new’ version is iOS 6, which is seeing massive 93% adoption among users. The mobile web and native app analytics company Localytics shared some interesting stats with us recently that drive home the power of a rapidly upgrading user base. Localytics found that 64% of qualifying iPads are already on 6.1.3, which is a pretty crazy number. iPod touches came in at 58% and iPhones are at 37%. Roughly 74% of users had upgraded from 5.0 to 5.1 within 14 days, and 6.0-6.1 took even less time at 11 days. Obviously, this allows developers to more rapidly support new features in new versions of the OS, but with iOS 7 it will also allow them to adopt the radically new design language without fear of alienating tons of customers. Another interesting tidbit they found was that users who had updated to the latest version of the OS were far more likely to update to the latest versions of apps as well. Yes, this might be circumstantial, but other stats corroborate that ‘early adopter’ activity spreading outwards. For instance, users using the current version of an app have 40% more sessions per user and 63% longer session lengths than those on older versions. I don’t want to harp on the troubles that Google has had with getting Android developers to update, but the latest stats still put the largest percentage of users on a three year old OS. There have definitely been inroads as Jelly Bean is now clocking in at 33%, but the confidence that developers can move to support only the latest versions of the OS just isn’t there yet. But for iOS developers, the conclusions are simple: developers can be more aggressive about adopting the latest versions of iOS, including their features and feel. Doing so not only frees them up to use the latest APIs and tools, but also brings higher app engagement numbers. It’s a win-win scenario and iOS 7 is already shaping up to be a boon for those who are quick to adapt.